Ever heard of clear aligners? Well Invisalign, is the most advanced and sophisticated, digital clear aligner therapy today. With over 6-million proven cases, Invisalign will give you the smile you have always wanted, while putting your teeth into proper alignment to last for a lifetime. No more brackets, No more metal, No more hassle. Invisalign is not the future, it is the NOW! 1)	Am I too old for braces? a. Why would you ever ask this!?!? Age is a number, and you should never be too old for anything! b. On a serious note, not at all. As we get older, teeth may not shift as easily as when we are kids, but that is accounted for in the movement the dentist will design for your Invisalign treatment. 2)	How often do I need to wear them? a. Trays need to be worn for 22-hours a day. This will account for the time it takes to eat and brush your teeth daily. Otherwise they should be worn all day. b.	Let’s get even more specific… Wear your tray during the following: Sleeping, showering, working out, at work, driving, going to the restroom for any function (hahaha!!! ), traveling, meetings, happy-hour, religious ceremonies, dancing, kissing, playing, breathing, swimming, scuba diving, sports, cheering, babysitting, and much more that is not eating or brushing your teeth!… Detailed enough? 3)	Do I need to have metal braces? a. Not at all! The Doctor will do a thorough analysis of your current smile and take a digital scan or your mouth to determine if Invisalign is truly the best therapy for you. It is extremely rare to not be a candidate. 4)	Will it interfere with my speech? a. It should not interfere with your speech. Just like anything else, it will take time for your tongue and muscles to adapt to the trays. 5)	What happens if I lose a tray? a. Please contact us right away! Do not wait until your next appointment. One day without trays is too long and your teeth will shift. 6)	How long will it take? a. This is a case-case scenario. With clear aligner therapy, teeth do move more uniformly and predictably leading to a faster result than traditional metal braces. 7)	How do I clean my trays? a. The best way is to have a toothbrush specific for your trays. This way you reduce the wear of the toothbrush you use daily. Use soap (it is cheaper than toothpaste) to clean the aligners daily. It is recommended to rinse your mouth after eating to minimize discoloration of your trays. 8)	Can I drink with them in? a. Yes! It is not recommended to drink colored drinks (soda, juices, red wine, coffee, etc) with your aligners in place, but you are perfectly safe to. When your drink is finished, swish your mouth with a glass of water to make sure no colored liquid is remaining in the trays. This helps reduce any discoloration. 9)	How much are they? a. Never let cost be the barrier between you and the smile you deserve! We specialize in fitting it into your budget. We offer several payments plans we will discuss with you during your “Complimentary Invisalign” appointment. b. One payment plan offers 0$ down, 0% Interest for 24 months! This is the most commonly accepted plan. 10)	How long do I wear my retainers for? a. For the first several months, you will wear your retainer regularly like your trays (all day, 22-hours). This is because the periodontal ligaments that hold your teeth in place have to heal from all the movement. This takes several months. After this process, your dentist will transition your wear to nights for life. Your teeth will shift if you do not wear them. Your jaw continues to grow on average 05-1.0mm every 5-10 years. This is not noticeable, but it does apply forward pressure on your teeth causing crowding over time. The retainers prevent this. 11)	What happens if I lose my retainer? and won’t be fixed over night! 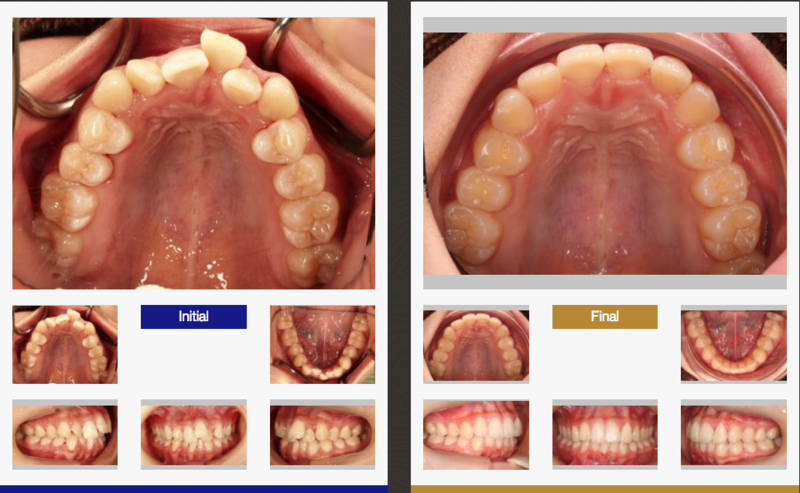 Schedule your complimentary consultation and see what is possible!